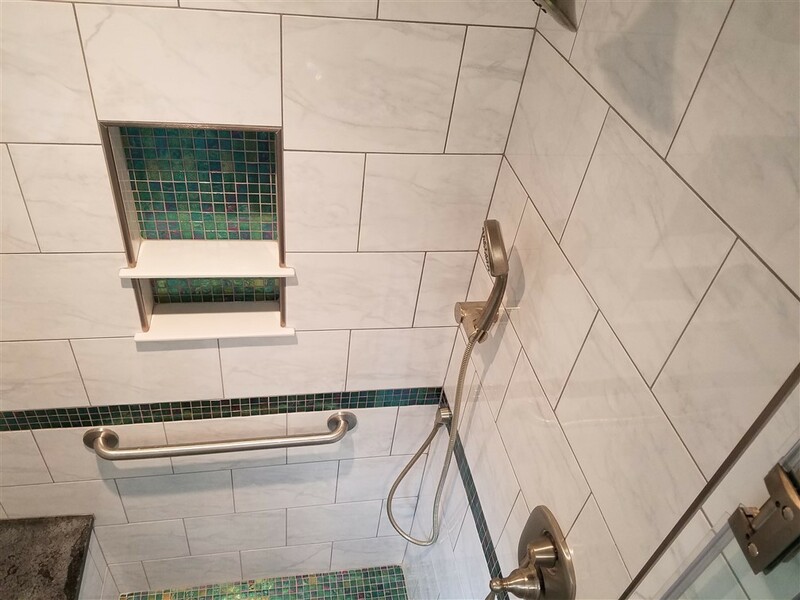 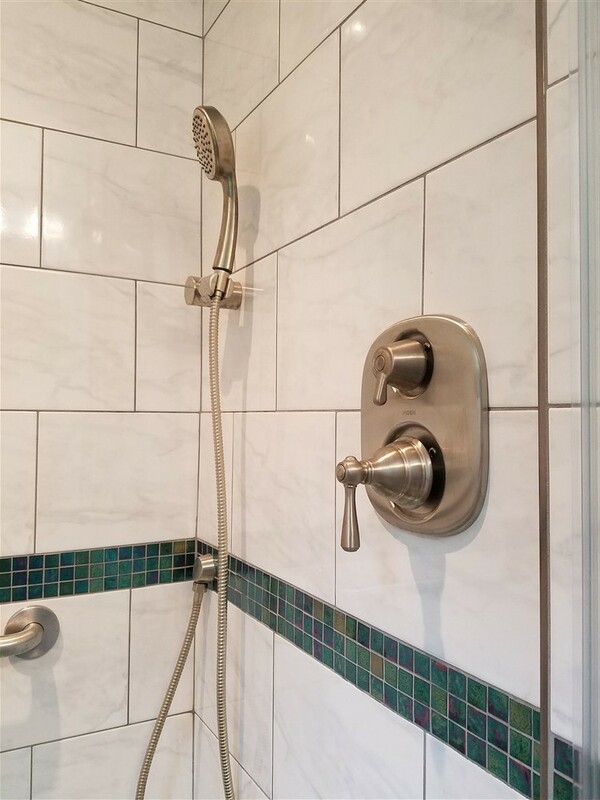 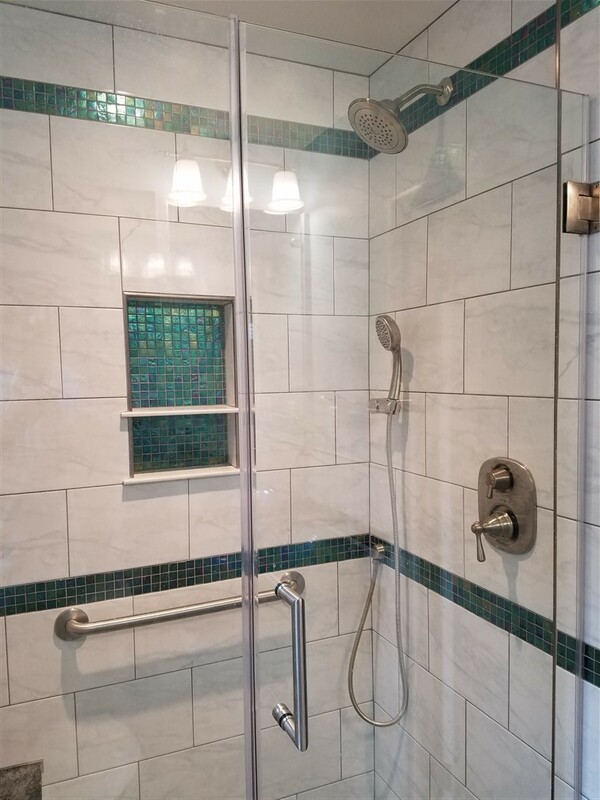 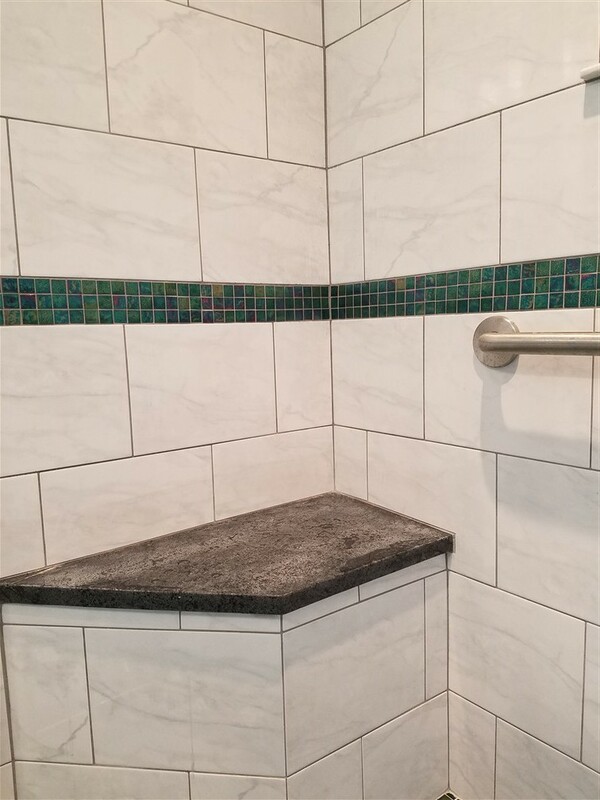 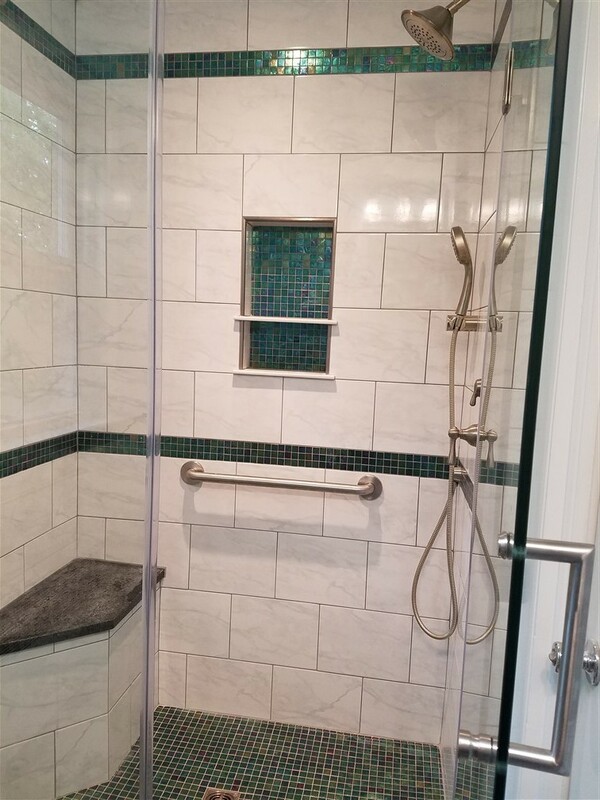 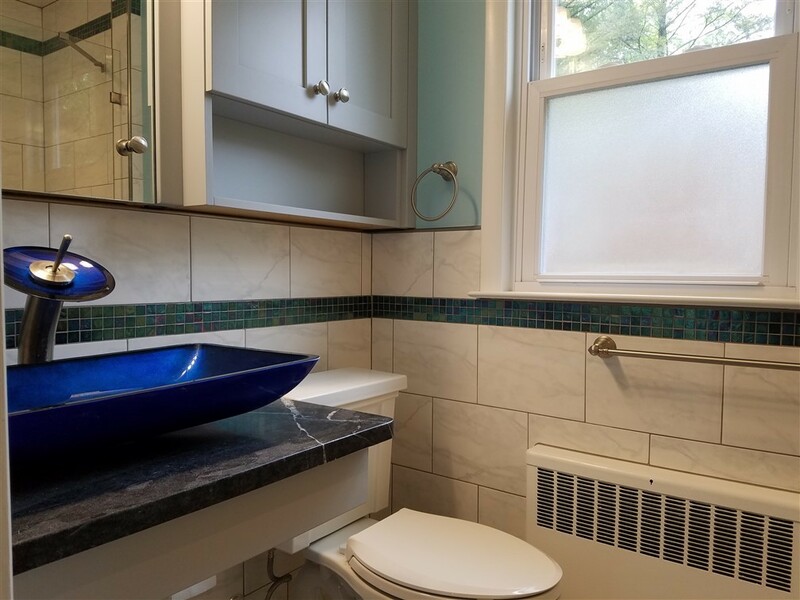 This is a small Master Bath completed in April 2017 in Cheltenham Township. 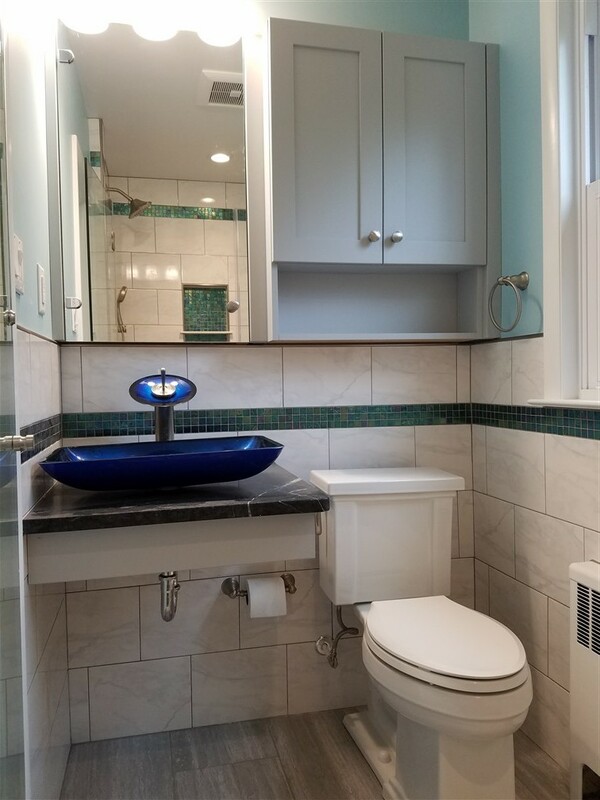 Our client is from the Carribean and wanted to bring in some color and the feel of Carribean waters. 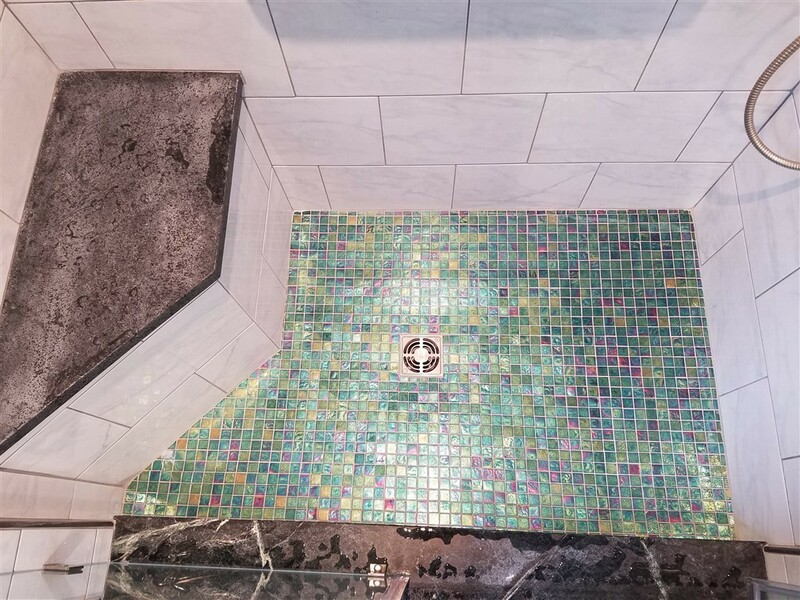 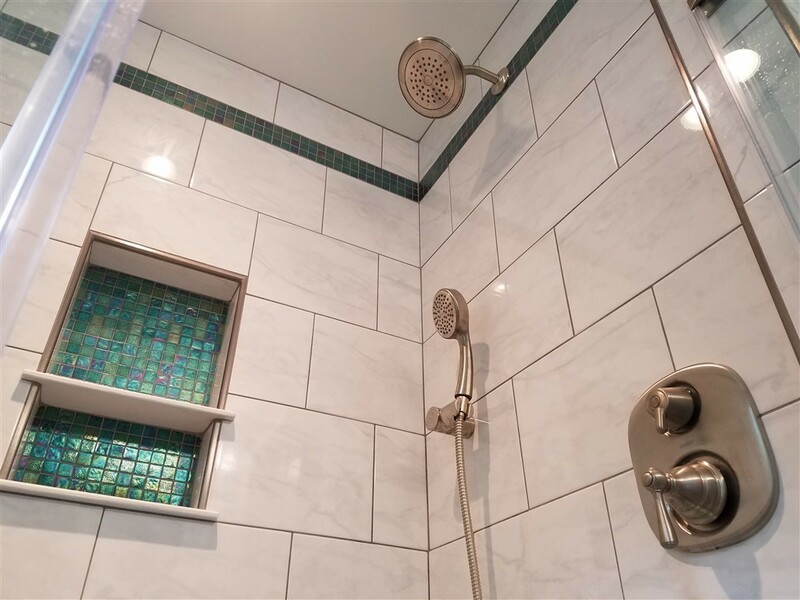 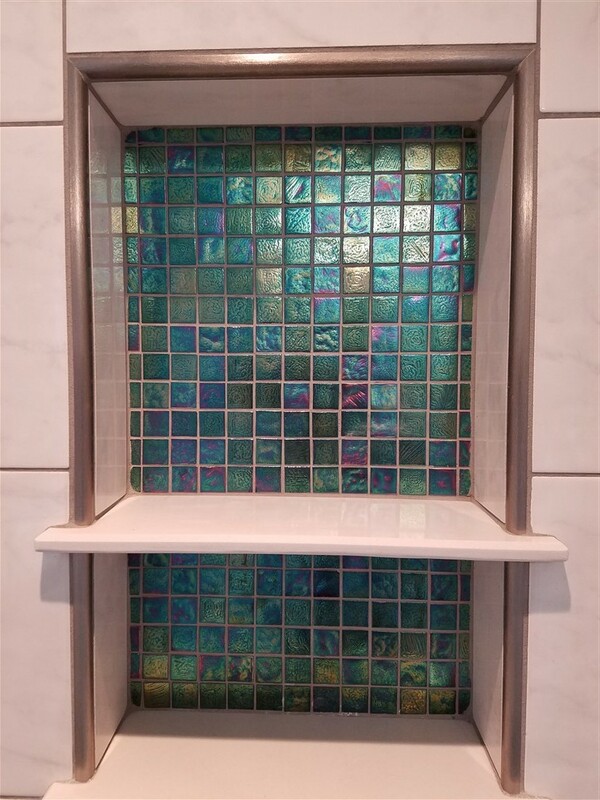 The Oceanside Tourmaline Irridescent mosaic tile does just that. 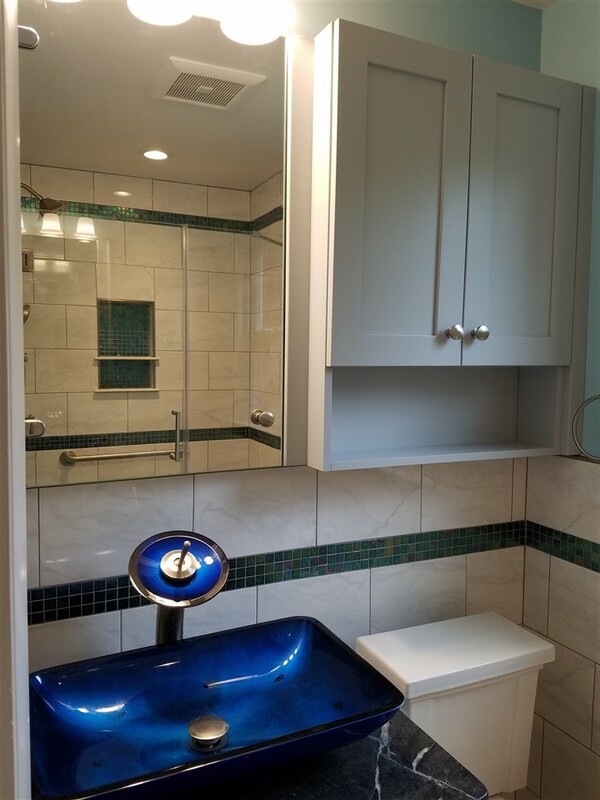 We designed a unique floating vanity top with a soapstone countertop and gorgeous Franke vessel sink.